Computer scientists offer a more sober notion that AI is machine intelligence, distinct from natural intelligence as displayed by all living things. Another useful AI description is one that points to any system capable, through algorithms, of absorbing huge volumes of unstructured data in fractions of the time anyone would expect. Then, through built-in flexibility, learn (almost as fast) how to sort this data into patterns that contain new innovative solutions to ongoing problems. Tesler’s view of AI is short and sweet: “AI is anything that hasn’t been done yet.” In other words, so-called “new technologies” now accepted as part-and-parcel of business and our everyday lives (e.g. optical character recognition) are regarded as routine - effectively disconnecting from the AI that indeed may have been instrumental in creating them. AI may center itself on as little as one computer armed with processing speeds measured in seconds to cater for the magnitude and the mega velocity of data involved these days. The collection and sort process (let alone the interpretation, and recommendation based on the interpretation) is ordinarily enough to drown hundreds of humans in complex paperwork for months on end, trying manually to do essentially the same thing. Critics that label AI as a fad are way off. It’s here to stay! US corporations demonstrate a motivation to sell smarter, evidenced by 38% of them currently in the AI realm, and expected to go parabolic (as high as 62%) by early 2020. And so we arrive at the crux of the matter: how can automated sales enablement integrate itself with applications and systems that will add pertinent new (yet to be discovered) features? The real issue is this: how far are managers prepared to go toward integrating AI into their sales enablement platforms? On the most basic end of the spectrum, AI empowers modern sellers to generate fresh leads that have substance, excluding those where a viable connection is tenuous at best. For example, there are platforms like CONVERSICA that specialize in the field called Conversational AI. 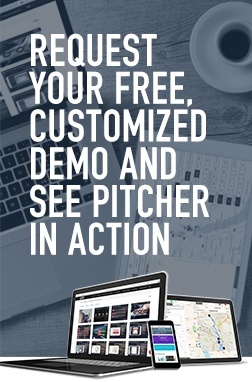 In brief, this company focuses on creating scenarios where potential prospects are engaged in conversing (directly or via text) with a computer. The methodology involved mimics natural human interaction to such a level of sophistication that the human participants are largely unaware that an AI program is actually guiding the dialogue. Moreover, as this activity generates data it pinpoints the highest probability prospects, alongside the conversation content to advance them to the next stage in the sales process. Another big side benefit is it frees up time for the sales team to perform more important tasks by positioning digital sales assistants into the system. Going past the lead generation stage, the next natural part of sales growth is turning identified new prospects into new customers. AI comes in big here. For example, emails sent to customers every week often fail to deliver the right message because they fall short of personalizing the content. Ordinarily, it seems impossible to customize content when these communications number in the hundreds and sometimes thousands (“high hopes”, some would say). Yet AI, through tracking down email browsing data of subscribers and hyper-contextual content capabilities, can design and insert messages most likely to get positive responses - thus transforming “high hopes” into reality. AI applications like HUBSPOT are geared to make sense of unstructured audience data to logically derive the best message content. Then there’s SMART CONTENT that customizes content aligned with the prospect’s stage-position in the buying process (i.e. just looking for more information/ or interested/ or nearly committed etc.,). The fact is, Calls-to-Action get 42% better results when messages are personalized versus rollout generic content. Closing more deals in less time is a key objective of management in the sales enablement arena. With this in mind, probably the most effective use of AI is the development of strategies that predict what, where, and when to publish which content to get the quickest time to value. ATOMIC CONTENT is a content intelligence platform that has built a reputation for doing just this. It competes with another AI entrant, SEVENTH SENSE. The latter is an application that has found the optimal balance between applying the collection of data, its analysis with predictive engines, and seamlessly integrating it into daily work to match audience receptiveness. It can measure all essential customer engagement in ROI terms. It can assess the relative impact of Facebook, WhatsApp, LinkedIn and other social media on reducing customer service time. AI is indeed the umbilical cord that connects ongoing success of the enterprise with its future. It influences how reps plan their calling schedule to the point of meaningfully differentiating the buyer experience; how marketers create sharper awareness with less bounce and more motivation to close, and how in-house educators should direct in-context training and playbooks. 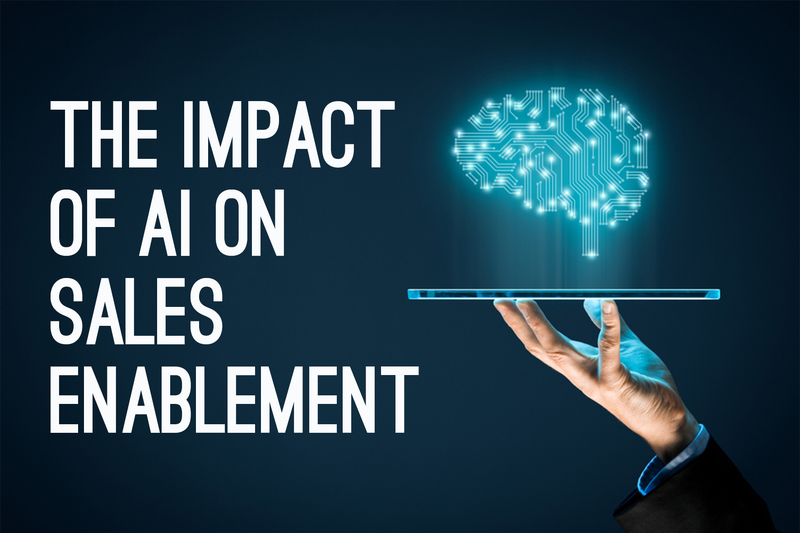 What Makes an AI-Driven Platform in Sales Enablement truly great? Confident reps with the right tools at their fingertips to extract pertinent intelligence, getting buyers to buy faster. At the same time, buyers truly believing they are buying smarter. Easy access to high scoring content that is language-specific and includes such abstract concepts as color combinations, images, info-graphs, and videos with different dialogue options. Closing rates and revenue numbers that meet calculated statistical expectations. The entire AI inclusion is analogous to a virtual surgical scalpel in a skilled hand carving out a path forward - one that doesn’t oversell or undersell - turns on the heat at the right junctures - cools things down when the customer is at the edge of becoming information stretched. AI is the epitome of personalized buyer engagement that closes deals with the least after-sales strain. Reps involved in AI sales enablement quickly learn the difference between short-term noise and long-term fulfillment of objectives. This converges on effective conversations with customers driven by data insights, thus creating deeper relationships. Management onboards when they see that by optimizing actions with impactful content it also maximizes revenue. Reps come onboard as ultimately this rewards the entire team at a higher monetary level. Can the platform seamlessly improve content as data input filters in? Can it demonstrate, in real time, development of new alternatives that materially alter your current approach to things? Are performance metrics easy to understand and observable from every viewpoint? Are new developments not only groundbreaking but also almost instantaneously observable? Are the analytics current, accurate, and ROI-relevant? Are you in close touch with self-serve guidance as a way to achieve all this easily and practically? Pitcher will test different scenarios in the workplace as they occur, relating the different content to end results. If AI is not fully functional in your platform Pitcher is able to convert it to a system with the capability of accessing unlimited volumes of data; installing cheap and powerful cloud computing into your functionality, and finally introducing the smartest data models available to make it all happen.